Would you like to know how to engage hundreds of disabled people in your activities? In this post we’re going to tell you how to do just that. The Creating Connections programme was started in West Yorkshire to help inactive disabled people become more active. Over the first two years the Creating Connections programme engaged 282 disabled people through their behaviour change intervention (and many more through their wider interventions). 70% of people were inactive at sign up. The programme has been effective at recruiting inactive disabled people with 70% of participants self-reporting 0 days active on the baseline single item measure question. It’s also been effective at getting people more active. 70% of participants were more active at the six-month follow up point! These results are amazing. James Brown, Phil Truby and the rest of the team at Yorkshire Sport Foundation are doing an absolutely incredible job. They are intelligent, hard-working and good looking. But these results are extraordinary, so how are they doing it? To achieve this they use a behaviour change intervention based on the Let’s Get Moving physical activity care pathway. Let’s Get Moving was originally designed by the Department of Health and is recommended by the National Institute for Health and Care Excellence (NICE) for increasing physical activity levels. I’ll explain more about how this intervention works later on. So if this project is so amazing then what was the problem? The problem was that the three officers working in the project were spending about half their time working with partners (e.g. physios, hospitals) to get disabled people referred on to the programme. This meant they were spending about £40,000 a year on engagement. That’s not what these staff members were supposed to be doing. They were trained in behaviour change – they were supposed to be spending their time on that. They were spending £40,000 a year on engagement. Phil Truby came on our free online workshop, and was intrigued about the power of Facebook Ads. 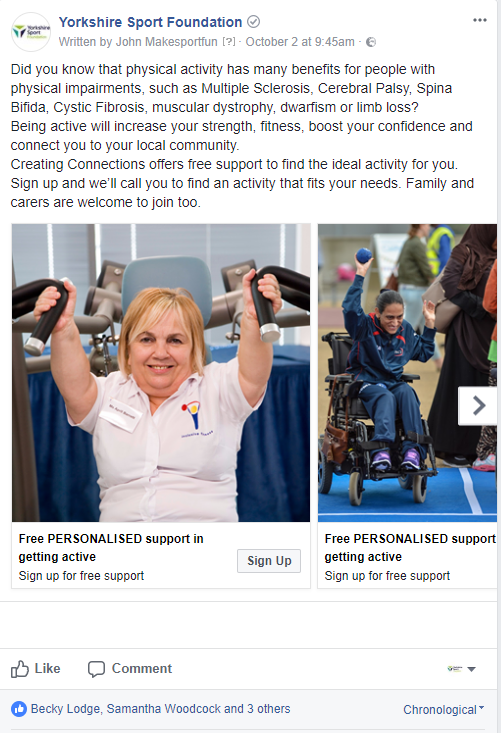 So James and Phil asked us to run a Facebook Ad campaign to engage disabled people directly. We want to try new things. I think the sector as a whole needs to try new ways of interacting and engaging with people. In six months, our team at Make Sport Fun engaged 430 disabled people for the programme. There have been over 430 enquiries in six months! Later I’ll show you a video of James and Phil from Yorkshire Sport Foundation explaining why they decided to try out Facebook Ads. As a physical activity service, it’s always best to intrigue people and get them through your door with an awesome offer. What’s great about Facebook advertising is that you can constantly optimize your campaign to generate the best results. In this case, we were able to optimise each campaign by testing it with different audiences and seeing where it got the highest results. For example, in the mental health campaign we ran a few versions of ads – one focused on adults, and one on parents. Within the first two weeks the mental health campaign aimed at adults engaged 57 people. But there were only 1 lead for the advert aimed at parents. So we adjusted the campaign to put all of the budget into the adult campaign which was working and paused parent campaign. When you’re initially deciding on an offer to invest in for Facebook advertising, choose a promotion that’s already been proven to work for you outside of your paid efforts. A free class or free support with finding the ideal activity tend to do really well. Then, once the offer is decided on, it’s time to create the ad campaign. Why is it so beneficial to promote these health and fitness offers through Facebook rather than using leaflets? 1. You can get good results from leaflets if you hand them out in person, but it’s very time-consuming to do so. 2. It’s not very effective to promote with leaflets via a door drop or leaving them in high traffic locations. They do get results, but not huge ones. 3. Leaflets don’t allow you to target your audience as effectively as Facebook does (based on gender, age, location and interests). I feel that we spend a lot of money and a lot of time developing leaflet advertising. Actually, Facebook Advertising is the way forward. So many people have Facebook. It seems like a much more sensible way of marketing. The Facebook ads were built to promote the offers in a simple, strategic, and intriguing way. The title of the ads were the key benefits of the offer. This way when someone scrolled in their newsfeed and saw the ad, the benefit was clear. These photos came directly from our free photo library. It’s important to use photos that are of someone like the target audience, smiling and having a good time. This gave prospects a taste of what to expect before they even opted in. Within the first four months, these ads got seen by a total of 25,773 people which resulted in 170 unique leads. We’ve now reached 430 leads! What made these ads so appealing? Local activities should have a reach of at least 10,000 for their Facebook ads. Yorkshire Sport Foundation have a potential reach of more than 1 million people. We set the audience location to cover the areas of Yorkshire they were focused on (Leeds, Barnsley, Kirklees and Doncaster). We then targeted each set of ads to the right audience using Facebook’s Detailed Targeting feature. This brought the total audience size down to 102,850. That was further split down into which area people were in and which impairment they had. This was to ensure that the right ads were shown to people with each impairment. The offer was the same for each segment, but someone with a physical impairment obviously won’t connect themselves with someone with a mental health condition. It was therefore essential to have the right ad for the right person. It’s important to remember that you want your targeting to be niche, but not too niche. That’s why the minimum reach of 10,000 people is crucial. If a local activity sets up targeting that’s too limited or specific, not enough of the right people will see the ad which limits the potential for more conversions. 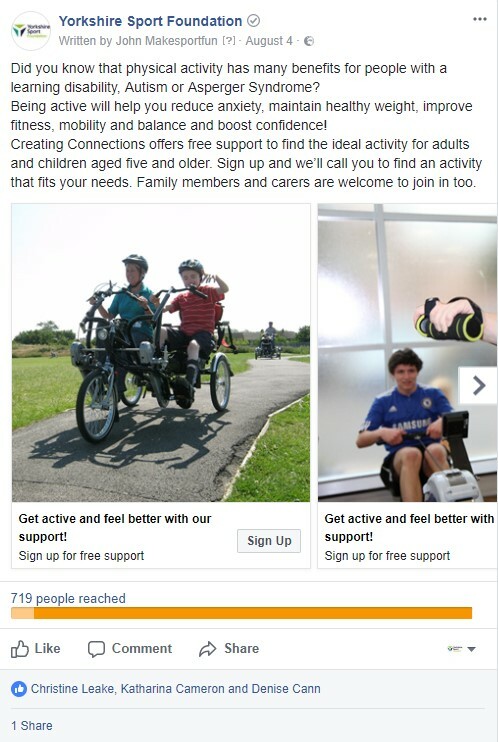 The minimum an activity provider can spend per day on their Facebook ad is £5. But even still, this doesn’t guarantee best results. To bring high quality leads, we like to set a minimum of at least £10/day. Keep in mind, the campaign can be paused at any time. So if there’s too much of an influx of leads (which is a great problem to have), the campaign can be paused. In fact, this is exactly what happened with this campaign. There were so many enquiries coming in that we needed to pause the ads for a time. The same goes with the opposite issue. If there’s not enough being spent, but the right people are seeing the ads and opting in, you can increase the budget to reach more of those ideal audience at any time. Over four months, Yorkshire Sport Foundation spent a total of £12/day. To generate the 430 leads, this results in a £5 cost per lead. Want to get started with Facebook ads? Book a Free call with John. 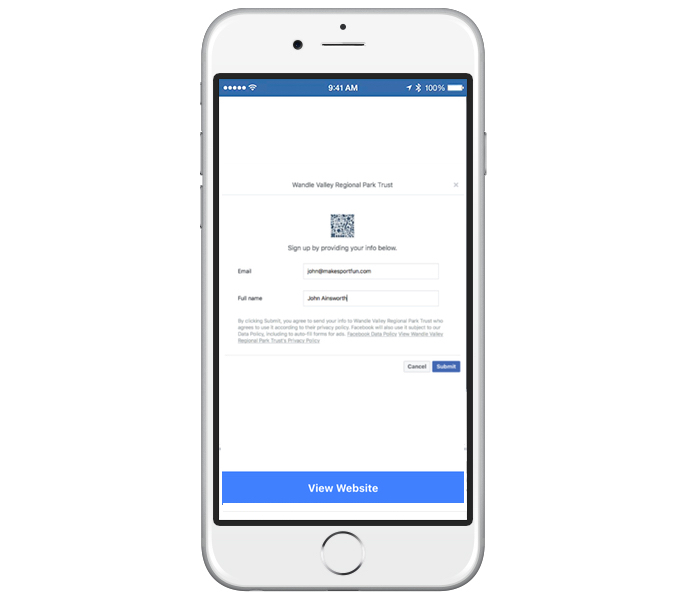 Once someone clicked on the Facebook ad, they were taken to a Lead Ads form. In this form they were asked for their name, email and phone number. Once someone signed up the Yorkshire Sport Foundation team jumped into action. Understanding someone’s motivations and barriers to getting active are key in helping them to get started. This process is based on the Let’s Get Moving physical activity care pathway. Which in turn is based on NICE public health guidance PH6 and PH44. One of the great things about the Let’s Get Moving pathway is that it focuses on long term behaviour change. Yorkshire Sport Foundation stayed in touch with the people that they helped for 12 months! They stayed in touch for 12 months! The reason they did that was in order to help people stay active long term. Out of these participants 53% increased their physical activity levels by one day; 17% of participants increased by 2 or more days and there were no self-reported decreases in activity levels. In order to bring in tons of enquiries … like 430 people … there’s a lot that goes into a strong Facebook campaign. Physical activity providers need a great offer, good Calls to Action (CTAs) and images, the budget to invest in the ads, niche targeting and a solid reach, and a killer process for following up with the enquiries. Facebook has become the #1 place for physical activity providers to get in front of their audience. And when it’s done the right way, you’re looking at hundreds of leads per month. This is a game changer. Sign up for a free Facebook Ad strategy call with John. 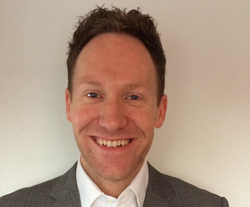 John Ainsworth is the founder and CEO of Make Sport Fun, marketing to engage inactive people.